Pete Cromeris A Contemporary Australian Artist Based In Torquay On Victoria's Surf Coast, And Is Renowned For His Signature Use Of Colour And Texture, All Reflected In His Bold Collages, Paintings And Sculptures. 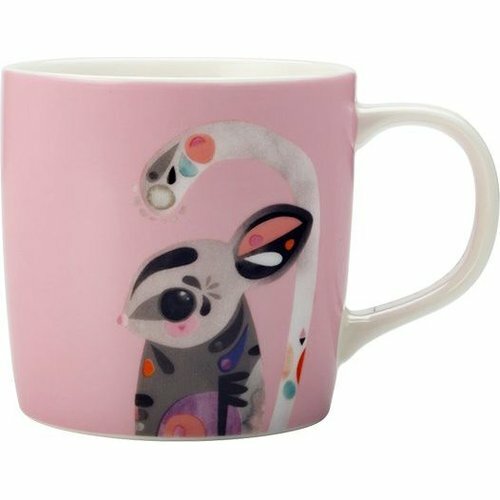 Each Colourful Piece In Petes Inaugural Tableware Collection, Is Based On An Original Artwork, Featuring His Favourite Australian Animals Re-imagined In A Quirky And Charming Collage. Available In A Series Of Gift Boxed Porcelain Mugs And Loose Ceramic Coasters.